For our kids, their education is the only thing we save for. I am a strong believer in “Give a man a fish, and you feed him for a day; show him how to catch fish, and you feed him for a lifetime“. We don’t plan to give our kids money, but we do hope to be able to support their education to the highest level they want to pursue. The best gift my parents gave me is allowing me to start my grown-up life and career debt-free. We hope to do the same for our kids. We started saving for our son five years ago when he was 2.5 years old and started saving for our four-year old daughter since she was born. A 529 plan is a tax-advantaged savings plan designed to help parents saving for their kids’ future college costs. Contributions to 529 plans grow tax-free and are distributed tax-free for qualified education costs. The wiki at Bogleheads does a good job explaining 529 plans. These savings plans are often state-sponsored investment accounts. Not limited to where you live, you can choose 529 plans offered by any of the 50 states and the district of Columbia. We chose to go for the plan in our resident state for three reasons: 1) the state provides good matches to residents’ contributions; 2) it offers Vanguard’s mutual funds as investment choices; 3) it allows state tax deductions for contributions. How much do we contribute to our kids’ 529 accounts? Our state allows tax deductible contribution for up to $4,800 per beneficiary per year by a married couple filling jointly. For each kid, we contribute exactly $4,800 per year, $9,600 in total. To fund the plan, we set up two monthly $400 automatic bank deposits to each of the two accounts of our kids. In part c, I explain why we don’t go above $4,800 per child. A Coverdell ESA account is a tax-deferred account designed to help saving for education expenses. Contributions to Coverdell ESAs grow tax free until distributed. If the distributions are less than the beneficiary’s qualified education expenses, the beneficiary does not pay tax on the distributions. Again, the Bogleheads’ wiki provides good basics for Coverdell ESAs. First, it can be used for both qualified higher education expenses as well as qualified elementary and secondary education expenses. Second, the ESA funds must be distributed to the beneficiary by age 30. Third, the total contribution a beneficiary can receive is limited to $2,000 per year. Fourth, after turning 18, the beneficiary takes the control of the funds and cannot receive any more Coverdell ESA contributions. Fifth, there are income limits applying to contributors of a Coverdell ESA. We use TD Ameritrade for our kids’ Coverdell ESAs. Vanguard used to offer Coverdell ESAs, but they no longer accept new accounts. Our experience with TD Ameritrade has been good. They offer a variety of funds, including Vanguard’s low-cost funds and many no-fee ETFs. They also do not charge maintenance fees for Coverdell ESAs. I do wish their cost per trade is cheaper for stocks ($9.99 is not competitive when Scottrade is offering $7 per trade). This complaint, however, does not affect our decision to use TDAmeritrade to manage our kids’ Coverdell ESAs as I don’t plan to use funds in these accounts to trade stocks. What if parents are over the income limit? Step 1: Set up a bank account for each kid. We have our main saving and checking accounts with Chase. So we just set up two baby savings accounts (for minors) that are linked to our main accounts. We deposit the monetary gifts our kids receive into their individual accounts. They are blessed with grandparents who like to give them monetary gifts. An added bonus for this is that my son learnt about saving at a very early age. Step 2: Open a Coverdell ESA account for each kid. To open a new account at TD Ameritrade, follow this link. You will need to fill some paper documents and mail them back to TDA meritrade. Make sure to set kids as the account owners if parents are over the income limit. Parents would be the account custodian and have the rights to manage the accounts. Step 3: Use money in kids’ savings accounts to make the $2,000 contribution to their respective Coverdell ESA accounts. The kids should be the contributors if parents are over the income limit. Since the kids are minors, we cannot order checks for their accounts. Instead, I go to a Chase branch and ask for two cashier’s checks of $2,000 each from our kids’ savings accounts. I then mail these cashier checks with the TDAmeritrade deposit slip to fund their Coverdell ESA accounts. I could also do a wire transfer, but Chase charges $25 per wire ($50 total). $25 on $2000 is like a 1.25% expense ratio, which is ridiculously high. So I rather get cashier’s checks than do wire transfers. It usually takes about a week for the money to show up in our kids’ Coverdell ESAs from the day we mailed the checks. Step 4: After the money becomes available in the Coverdell ESAs, you can invest the money and enjoy tax-free growth! If parents are not over the income limit, the steps are greatly simplified. You don’t need step 1. In Step 3, you just need to write a check from your savings account and mail it with the deposit slip to TD Ameritrade. A friend said that he would not go through the trouble for just $2,000 a year. What is the trouble? For every year, it only takes one trip to the bank (if you are not over the income limit, you only need to make one trip to the bank in the first year and no need to go in subsequent years), and then at most 30 minutes to fill the deposit slip and mail it with a check. What are the benefits? Assuming a 7% return, $2,000 today will grow to be $5,518.06 in 15 years. Having the money in a Coverdell ESA saves $1055.4 in taxes for a family with a marginal tax rate of 30%. With $2,000 each year for 15 years in a Coverdell ESA, the account’s future value would be $50,258.04 and saves the family $14,477.41 in taxes. With two kids, the saving in taxes doubles. Why not just put the money in a 529 plan and save the trouble? I like that we can use the funds in a Coverdell ESA to pay for elementary and secondary education expenses. By the time our kids are in middle or high school, we will have a better idea about how much money we may need for their college. If we are saving more than enough, we can use the funds in Coverdell ESAs for their middle or high school expenses. In addition, Coverdell ESAs are not state -sponsored programs and normally offer better investment options than 529 plans. First, the funds can only be used for qualified education expenses. In a couple of years, we plan to move to a state with excellent public universities , we may end up not using much of these funds if our kids attend in-state universities. It is not fun if we have to pay penalties to move the money out of these accounts. To minimize the impact of the 18-year old rule of the Coverdell ESAs, when we use the funds to pay for kids’ college, we will use the funds in Coverdell ESAs first and may transfer them to a 529 plan if needed. Third, we will likely be still working when they go to college. We are aiming for being financially independent by 2022, but I do not plan to retire early as I do love some parts of my job. Financial independence would allow me to say no to the things I don’t like and focus on the parts that I love. I am blessed to be in a profession that pays well. Hubby’s goal is to build some “money printing machines” in addition to our financial independence stack. Without any mortgage or debt to pay, we should be in a position to support the education deficit if needed. Fourth, if we decide to retire early after reaching FI, we may not need these ESA accounts to help saving taxes as we will not be paying much taxes anyway. See Jeremy’s comment below and he has a very nice post discussing tax paying after early retirement. This may sound like an unusual way to save for kids’ education. I have a love for land. When I read Gone with the wind, I felt for Scarlet’s love for land. ““It will come to you, this love of the land. There’s no gettin’ away from it if you’re Irish.” I am not Irish, but that does not stop me from forming a love for land. The first big purchase I made after I started working was buying with mortgage a house with a large yard. This was when I was driving a very old Toyota Tercel (the model discontinued many years ago) that could not make right turns easily. Yes, you heard it right, when I need to switch to the right lane, I usually need to start the turning effort 100 feet before the switching. When I need to make a right turn, I need to start making an effort at least 300 feet before the turn. Even with a car like this, I still preferred buying a house before changing the car. 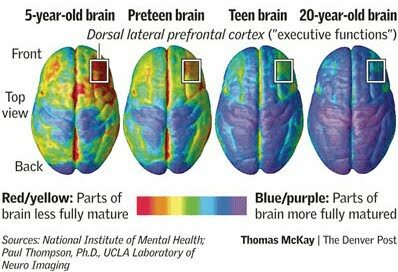 As my brain grows more blue (see the brain development map above), I became more rational about houses. Now I try to view real estate investments as a part of our investment portfolio and have bitterly experienced and realized the downsides of owning houses. If we move again, we will likely not buy a house, at least not for a long while. We have decided to keep a rental property (one of our former houses) to balance our overall portfolio, especially for kids’ education, in case there is severe inflation or big house price rebound. Keeping the property also helps comforting my love for land, but this reason is secondary, at least when I am pretending to be rational. For these reasons, I rather keep the money in my accounts than run the risk of over-funding kids’ accounts. If the funds in our kids’ ESAs are not enough, we would not hesitate pulling money out of our accounts to support them. In addition to the methods I mentioned here, there are a few other ways to fund kids’ education. This link offers a nice comparison chart. How do you save for your kids’ education? Would love to hear your preferred method of saving. I plan to write a series of “How to…” that discusses how to save more without quitting shopping. This first post is on how to maximize your cashback from online purchases. Step 1: Google the item you want to buy and find the shop you want to buy it from. Step 2: Use the cashbackmonitor to see which online portal offers you the most cash back for the online shop. 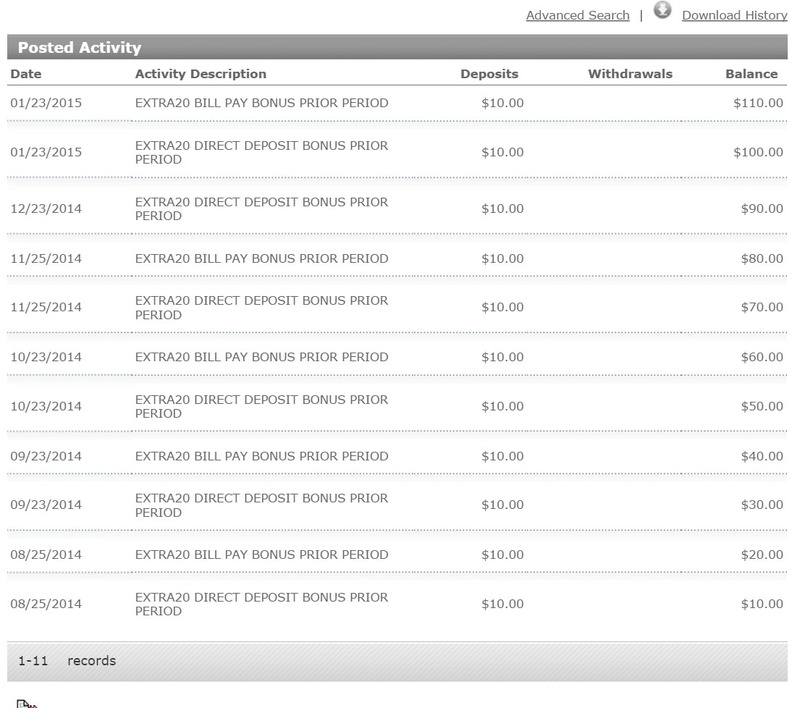 I have personally used BeFrugal, BigCrumbs, Ebates, MrReates, TopCashback, Lucky Rewards. They are all pretty reliable and pay you the cash back in 2 to 4 months. You can choose to receive a check or have them send the payment to your paypal account. I have never had any issues with receiving my cashback from any of these sites. a. Stack with your cash back credit card: Use your cashback credit card to pay for the purchase. For example, if you have the Fidelity 2% cash back American Express Card, you can use it to pay and get a total of 8.5% cashback assuming you buy from Topcashback. b. Stack with gift cards bought from an office supply store using the Chase Ink Plus credit card: The deal gets even sweeter if you have a Chase Ink Plus card. You get 5 chase ultimate reward points for every dollar you spend on office supplies. The office supply stores (officemax, office depot, and Staples) carry many store gift cards. You can first buy the store gift card from these stores and then use the gift card to pay for your purchase. Using Nordstrom as an example, if I want to buy a $200 item, I can first purchase $200 worth of Nordstrom credit card and then use it to pay. In total, my cash back would be 5×200=1000 chase points and $200*6.5%=$13 (from topcashback). I value chase points at about 2 cents each, so effectively, my cash back total is 1000*0.02+13=$33 dollars (a 16.5% discount, sweet!). a. You are going to the stores less, saving gas and time (more time with my kids, YAY!). b. If you do go to the stores, you end up buying less because you would be asking yourself why should I pay 5-15% more for the same item? Remember the goal of doing this is to maximize your cash back on the purchases you are going to make anyway. By doing this, you can add extra $$ to your savings account. It totally misses the point if you start backwards, meaning start buying because there are cashback deals.